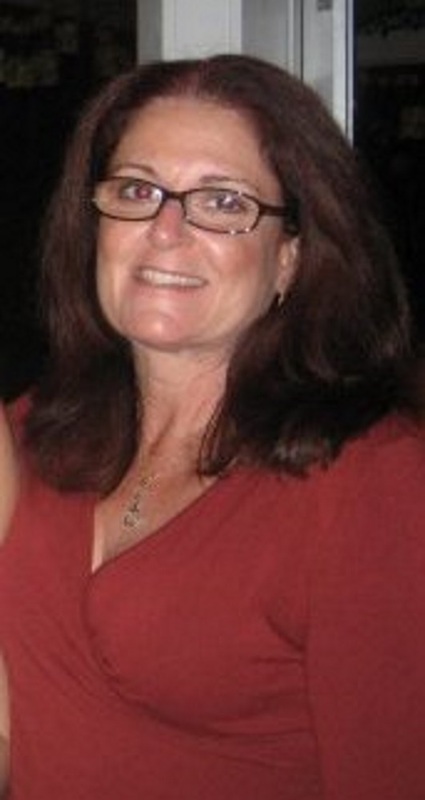 Julie Weiner is online at https://www.facebook.com/bashaweiner. Kenneth Weiner was born in 1946 or 1947. Publication Title: Boston, Massachusetts, City Directory, 1971. 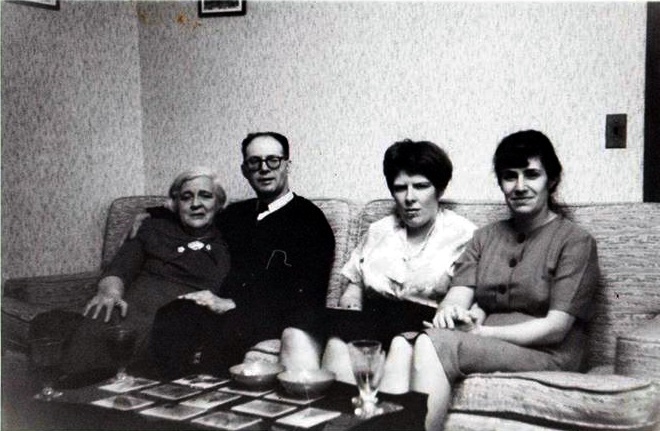 Mary (Levine) (Goodman) Weiner, Max Weiner, Gloria Goodman, and Elaine Levine. Photo processed October 1966. 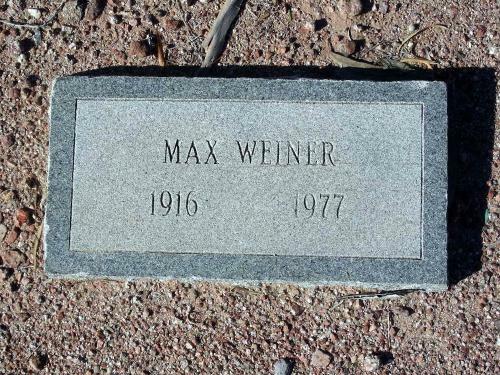 Find A Grave Memorial# 29309708. Norman married Rosalind L. Goodman, daughter of Irwin Goodman and Mary Levine (born Mary Zlochefsky). Shana Weiner was born on April 14, 1977. She is the daughter of Julie Weiner. Shana Weiner is online at https://www.facebook.com/shana1717. Steven Weiner was born on November 29, 1960 in Boston, Massachusetts. Steven died on September 24, 1981 in Thailand at age 20. 1880 United States. Census Office. 10th census, 1880 federal population census, Washington, District of Columbia: National Archives and Records Service, ([19--]) , FHL Film 1254543; National Archives Film T9-0543; Page 363B. William Berry Lapham, The History of Norway, Maine, Somersworth, N.H.: New England History Press in collaboration with the Norway Historical Society, (1986) , p. 516. COLBY FAMILY & OTHERS at http://freepages.genealogy.rootsweb.com/~colby/colbyfam, citing FHL Number 1001317; Date: 20 Apr 1791; Recorded in: Birth and Marriage Index for New Hampshire. Clarence A. Torry, New England Marriages Prior to 1700, Baltimore, MD: Genealogical Publishing Co., (2004) , p. 494. "New Hampshire, Marriages, 1720-1920," index, FamilySearch (https://familysearch.org/pal:/MM9.1.1/FDKT-9HS : accessed 09 Nov 2012), Gilman R Woodbury and Evelyn A. Wells, 03 Jan 1899; citing reference , FHL microfilm 1001320. "United States Census, 1900," database with images, FamilySearch (https://familysearch.org/pal:/MM9.3.1/TH-266-12049-57351-15?cc=1325221 : 5 August 2014), New Hampshire > Grafton > ED 49 Benton Town, Woodstock Town > image 7 of 18; citing NARA microfilm publication T623 (Washington, D.C.: National Archives and Records Administration, n.d.). "New Hampshire, Marriages, 1720-1920," index, FamilySearch (https://familysearch.org/pal:/MM9.1.1/FDGS-JXD : accessed 09 Nov 2012), Gilman R. Woodbury and Evelyn A. Wells, 03 Jan 1899; citing reference 2:1PPV0M5, FHL microfilm 1001320.
living at Haverhill, Grafton County, New Hampshire. "New Hampshire Marriages, 1720-1920," database, FamilySearch (https://familysearch.org/ark:/61903/1:1:FDGW-BJQ : 31 December 2014), George C. Clifford and Helen A. Wells, 07 Sep 1871; citing reference 2:24XK3LS; FHL microfilm 1,000,975. 1880 United States. Census Office. 10th census, 1880 federal population census, Washington, District of Columbia: National Archives and Records Service, ([19--]) , FHL Film 1254765; National Archives Film T9-0765; Page 277B. 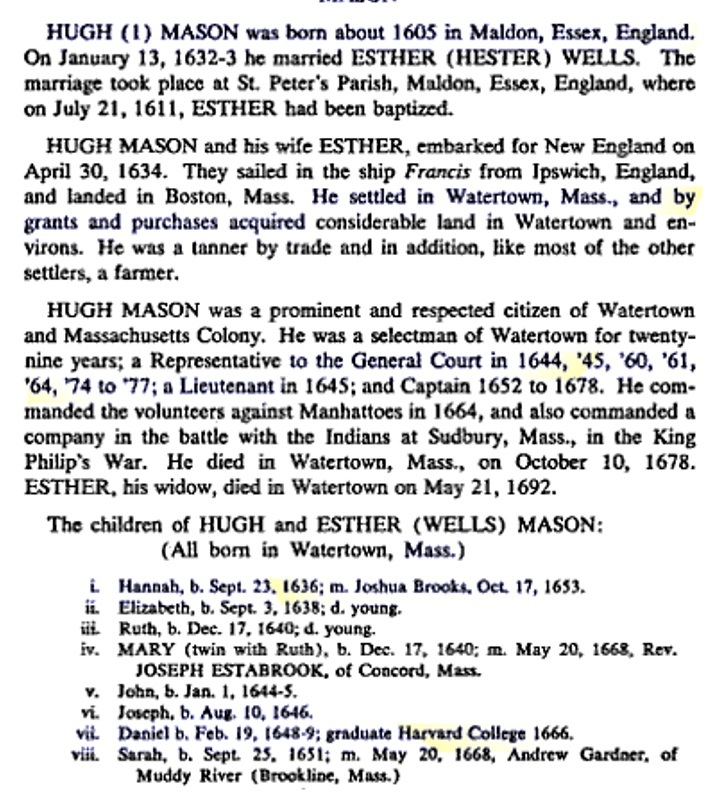 "Massachusetts Marriages, 1841-1915," database with images, FamilySearch (https://familysearch.org/ark:/61903/1:1:NW17-LS1 : 17 February 2016), James M. Jr. Moore and Martha J. Wells, 15 Dec 1875; citing , Waltham, Massachusetts, United States, State Archives, Boston; FHL microfilm 1,433,035. 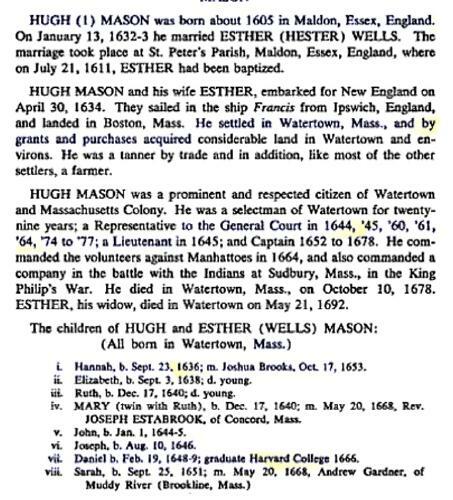 Massachusetts Vital Records, 1841-1910, , Vol: 210 ; Page: 78. Massachusetts Vital Records, 1841-1910, , Vol: 248 ; Page: 278. COLBY FAMILY & OTHERS at http://freepages.genealogy.rootsweb.com/~colby/colbyfam, citing FHL Number 1001318; WELLS, Silas, Marriage: Sally COLBY, Date: 06 Jul 1815; Recorded in: Birth and Marriage Index for New Hampshire. Thomas Wells was born perhaps about 1578. Vital records of Amesbury, Massachusetts to the end of the year 1849, , at https://archive.org/details/vitalrecordsofam00ames . Topsfield, Mass. : Topsfield Historical Society, (1913) , p. 256. Frederick Lewis Weis, The Colby family in early America; early generations of the descendants of Anthony Colby of Boston, Cambridge, Salisbury and Amesbury, Massachusetts, 1595-1661, , at https://books.google.com/books?id=TXdGAAAAMAAJ . Caledonia: The Colonial Press, (1970) , pp. 254-5. Vital records of Amesbury, Massachusetts to the end of the year 1849, , at https://archive.org/details/vitalrecordsofam00ames . Topsfield, Mass. : Topsfield Historical Society, (1913) , p. 505. Frederick Lewis Weis, The Colby family in early America; early generations of the descendants of Anthony Colby of Boston, Cambridge, Salisbury and Amesbury, Massachusetts, 1595-1661, , at https://books.google.com/books?id=TXdGAAAAMAAJ . Caledonia: The Colonial Press, (1970) , p. 61.